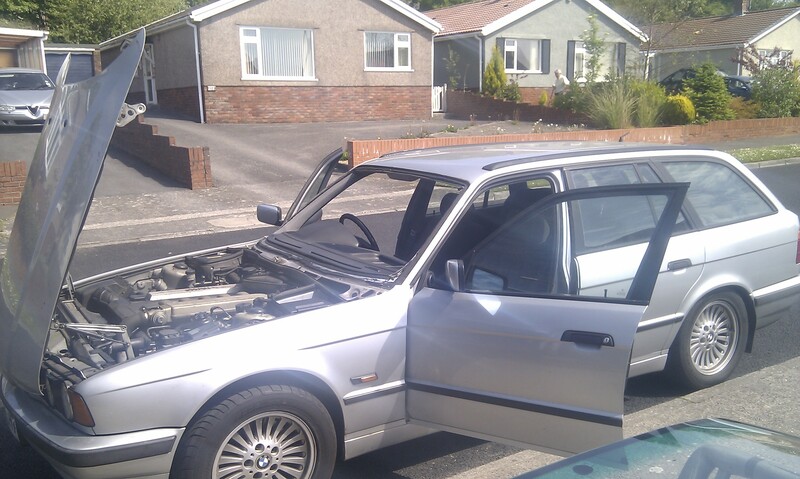 Got round to doing some work on the car. 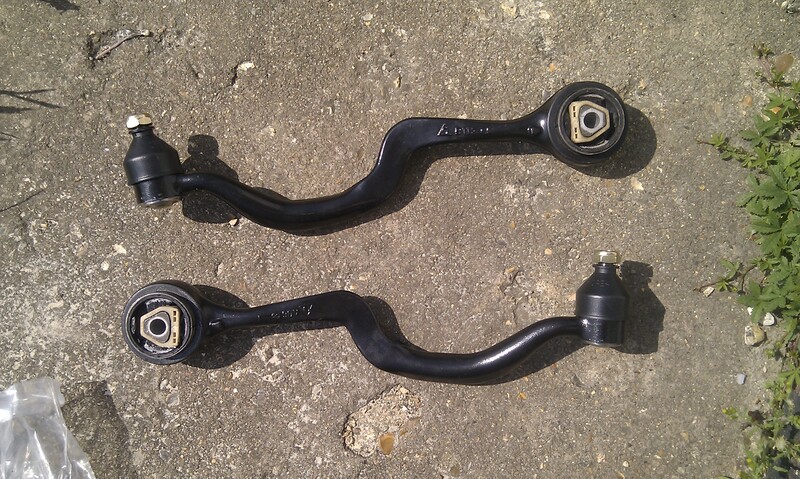 Finally fitted Lemforder upper control arms and bushes! After that went for tracking. Nearside ball joint was gone (had clunking from there) and bushes were easy to move by hand. Ride is certainly a lot more smoother but still not as stiff and stable as I would like, but it's another improvement. At the same time I replaced the front brake pads, oil and filter. When the people from the large national glass company came, he took one look and said he couldn't do it. This was due to signs of rust around the window aperture. We're talking about some orange stains, not even bubbles of rust. He said it used to be their policy to let the owner sign a disclaimer, which would have suited me but they don't do it any more. His solution was that I book it into a Bodyshop, they take the glass out, the body shop fix the rust then they come back and fit new glass! 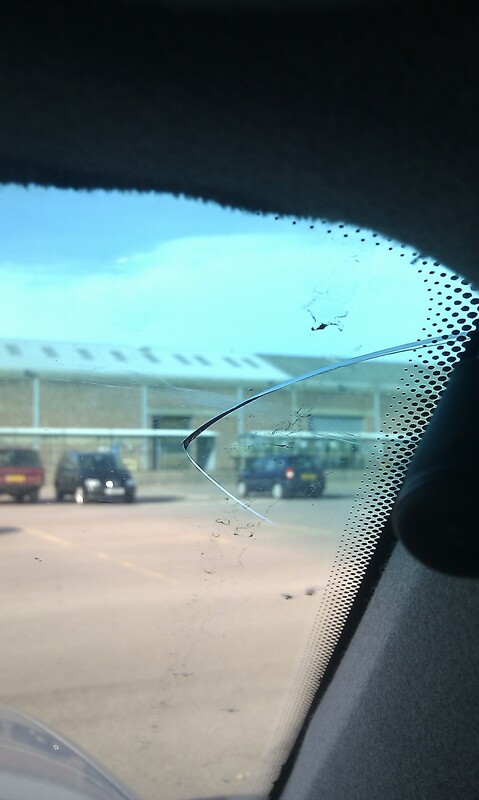 I was annoyed as this is an old car and I just wanted new glass so I don't fail MOT. The body shop quoted between 200 & 600 depending on what they find underneath. My solution was to ring and company that I had used years ago and they just came and fitted the glass, and no fuss.